On Tuesday night, WWE SmackDown Live saw the formation of three new championship matches for the Fastlane 2018 pay-per-view. Several champions were in action during the show including WWE SmackDown Women’s Champion Charlotte Flair and WWE Champion AJ Styles. With Styles already booked for a tough Fatal 5-Way, he faced one of his opponents for the match. In addition, Charlotte was in a six-woman tag match with her upcoming PPV opponent revealed soon after, while the U.S. Championship and tag team title matches also were announced. 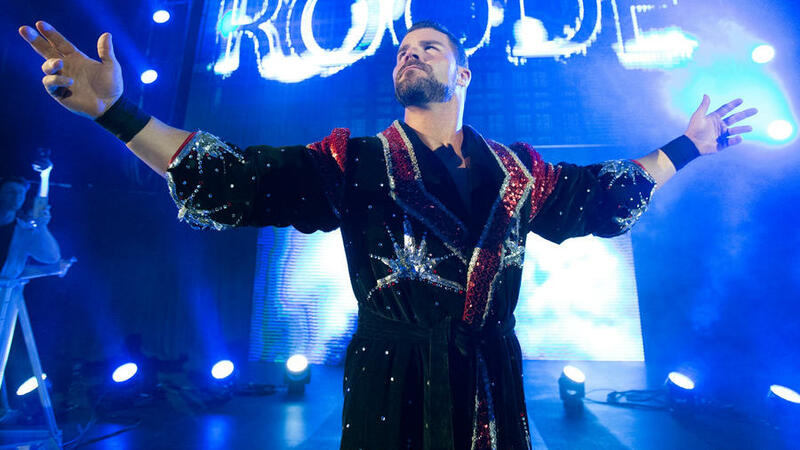 As reported by ProWrestling.net on Tuesday evening, the latest SmackDown results included an early segment where Jinder Mahal came to the ring to call out United States Champion Bobby Roode. Mahal continued to suggest that Roode considers himself to be better than “The Viper” Randy Orton which led to Roode telling Mahal he never said those things. That created tension in the ring as Roode and Mahal got in each other’s faces. Orton soon arrived out and chaos ensued. Jinder got put down first, and then Orton went for an RKO on Roode who avoided it and connected on his Glorious DDT to plant The Viper. As Roode tried to celebrate to his music, Jinder was back up and hit him with his finisher. All of that led to General Manager Daniel Bryan telling Commissioner Shane McMahon backstage that he thinks it should be Jinder Mahal vs. Bobby Roode for the U.S. title at Fastlane. However, Shane disagreed and said it would be Randy Orton vs. Bobby Roode instead. That led to Daniel Bryan mockingly agreeing to it and walking away. It’s entirely possible that some sort of Triple Threat might be created between now and the PPV with Jinder also getting involved. Later on, fans would see a few more Fastlane title matches take shape. There was a tag team match between The New Day and the team of Shelton Benjamin and Chad Gable. Woods and Big E ended up claiming the victory for New Day which will reportedly lead to them becoming the No. 1 contenders for The Usos’ tag team titles at Fastlane. However, commentator Corey Graves seemed to suggest that Gable and Benjamin deserved another shot due to the questionable finish. There was also the fact that The Bludgeon Brothers came out just as New Day was trying to head up the ramp, so there could be a multi-team title match in the works for the PPV. In yet another tag team match, it was the women’s superstars in action including SmackDown Women’s Champion Charlotte Flair. She teamed up with her friends Becky Lynch and Naomi to take on The Riott Squad. Once again, Ruby Riott showed her abilities to win. As there was a brawl taking place towards the finish, she was able to connect on a finishing move on Becky Lynch for the pinfall. There would be a backstage segment later with Riott Squad boasting of their win. During that selfie video clip, Riott told Charlotte to try to stop her at Fastlane and to bring her championship with her. Later in the show, Ruby Riott vs. Charlotte Flair was officially confirmed for the pay-per-view. That means every title from the blue brand will be defended at the WWE’s Fastlane 2018 pay-per-view which will be the last event before WrestleMania 34. Fans can watch all the Fastlane matches unfold on Sunday, March 11, via the WWE Network.